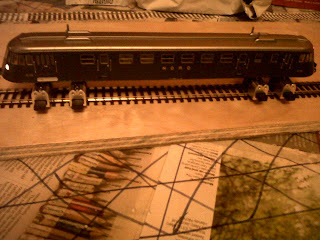 French Model Railway: Not sure I'm cut out for this. After the success of getting a loco to move, the next step was to run it in using the highly recommended Bachrus Running Stands. These are ball-bearing based runners that sit atop the track and thus are in electrical contact with the track. 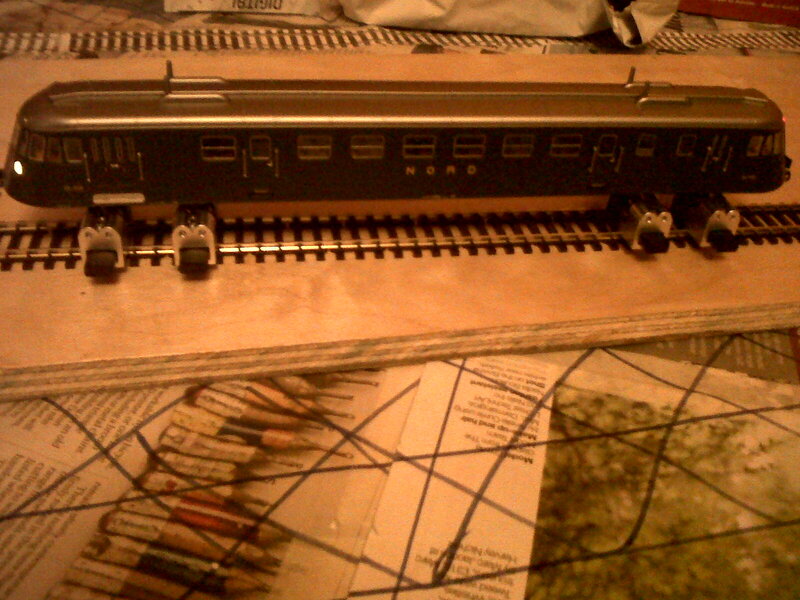 The loco then sits on the resultant cradle and works without going anywhere. However, one has to adjust the individual stands to the width of the track. This is achieved by loosening and then tightening screws. It is clear that the screws are reached by inserting a precision screw-driver (recently purchased by moi) down the very obvious holes which house the screws. And this is where I could have screamed and thrown the whole project out the window. The dam screw driver couldn't find any screw at the bottom of the hole - absolutely no sensation of engaging the slot that one finds at the top of a screw. Thinks: perhaps I should use one of the precision Phillips screw drivers in my new set of precision screw drivers. But, the smallest one available was too thick for the hole. Now, at this point, I should have counted to 10, stepped back and had a good think. Perhaps even returning to the challenge tomorrow. But no, a child-like impatience gripped me. These runners had to work tonight. 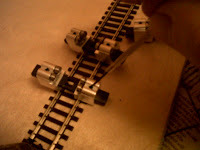 So, against all mature advice, I forced apart the runners through brute force to fit the tracks. That actually worked, but I don't feel it deserved to work. Next challenge was fitting the train wheels to the runners. This was accompanied by new irritations: poor lighting and a work-surface that was too low. One had to crouch down most uncomfortably to peer at the intersection of train wheels and ball-bearing runners. I suppose these irritations are resolvable in future. 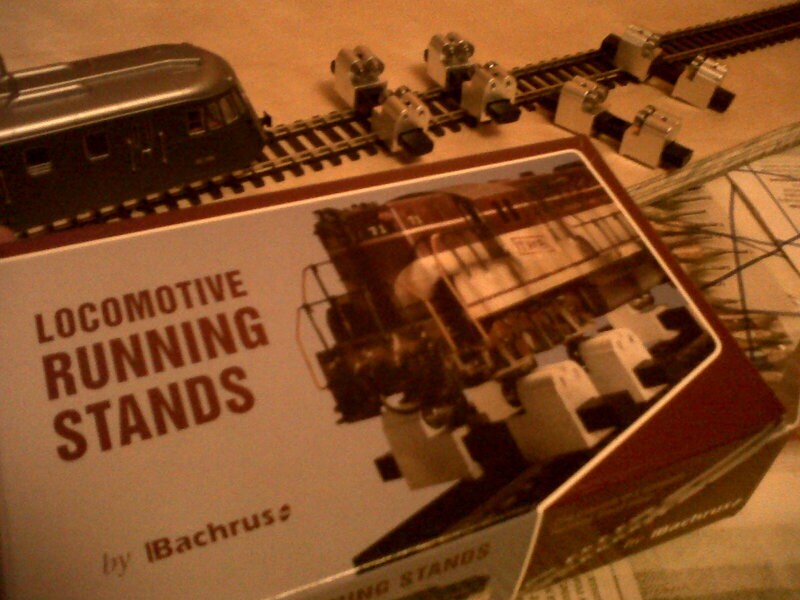 To quote a model magazine's banner, " Model railroading is fun ".